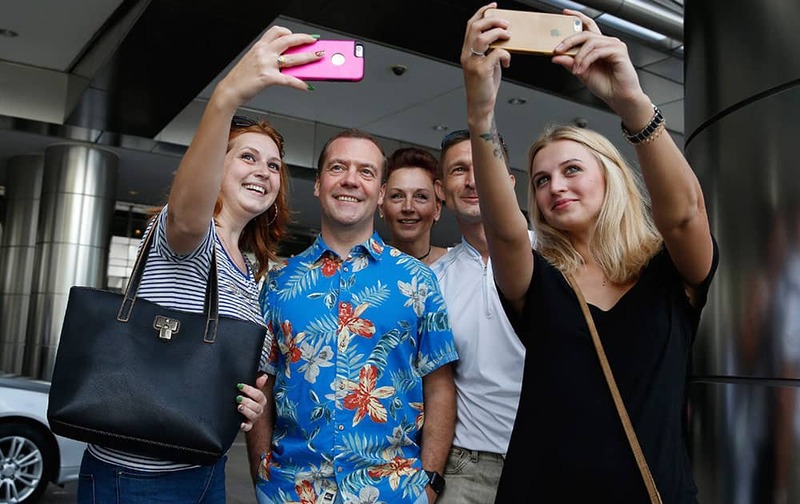 Russia’s Prime Minister Dmitry Medvedev poses for a photo with Russian and Ukrainian tourists after the East Asia Summit in Kuala Lumpur, Malaysia. Muslim brides during a mass marriage (Ijtimai Nikah), organised under Mukhyamantri Nikah Yojna in Bhopal. 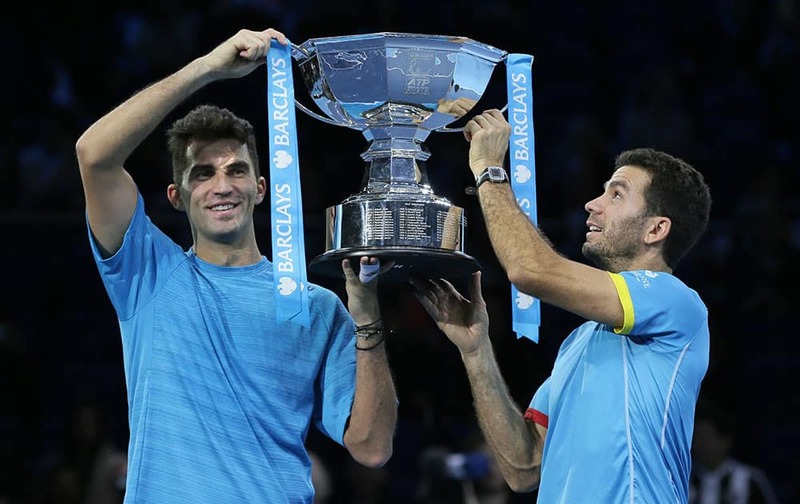 Netherlands Jean-Julien Rojer, right, and Romanias Horia Tecau lift the winners trophy after beating Indias Rohan Bopanna and Florin Mergea in their ATP World Tour Finals doubles tennis match final at the O2 Arena in London. Opposition presidential candidate Mauricio Macri, left, kisses his wife Juliana Awada after winning a runoff election in Buenos Aires, Argentina. 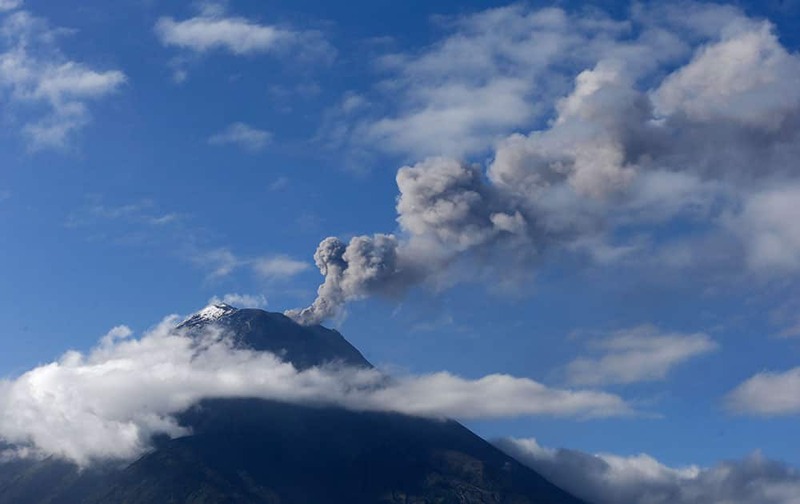 Tungurahua volcano spews ash and vapor, as seen from Ojos del Volcan, Ecuador. President Barack Obama gets a hug from a 16-year-old refugee from Myanmar after speaking about the refugee situation during a visit to the Dignity for Children Foundation in Kuala Lumpur, Malaysia. 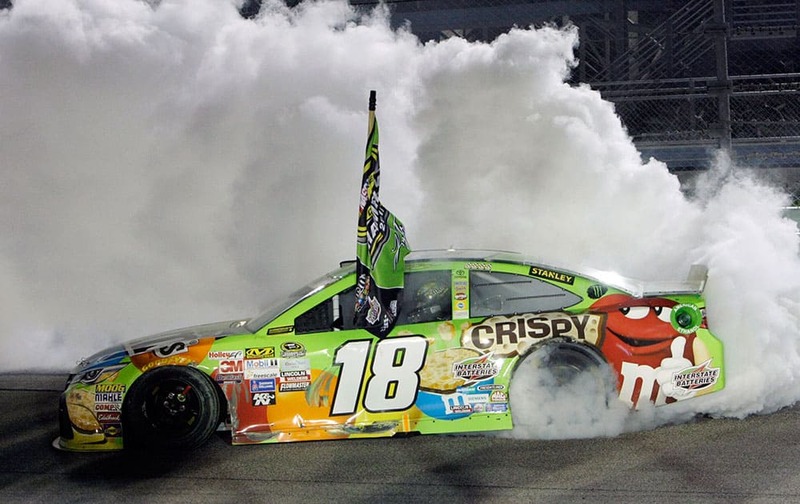 Kyle Busch does a burnout after winning the NASCAR Sprint Cup Series auto race and the season title, at Homestead-Miami Speedway in Homestead, Fla.